This is the 6th post exploring ‘Skin Facts’ and today’s focus is on the lipids/ fats in our skin. 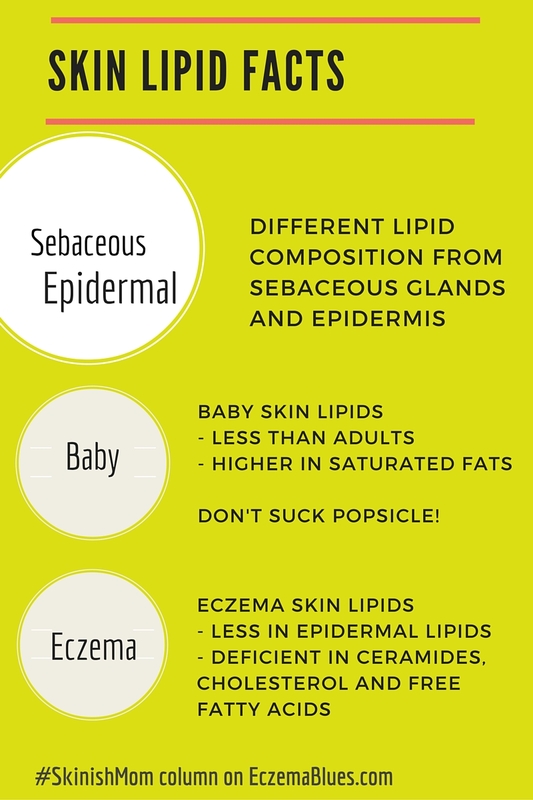 There is distinct difference between the skin lipids of normal adult skin, baby skin and eczema skin. Let’s explore skin lipids! The concentration of sebum is higher at the forehead, face, scalp, upper chest and back and lower on the hands and feet and none on the palms and soles. With a lower lipid skin content, it is important not to excessively wash baby skin and further remove the skin lipids. Eczema News – ‘Lipid fingerprint’ Treatment Approach : Where the Oregon State University is developing a system to identify the missing lipids in an individual skin, thus the possibility of getting moisturizer to replenish the specific deficient lipid.